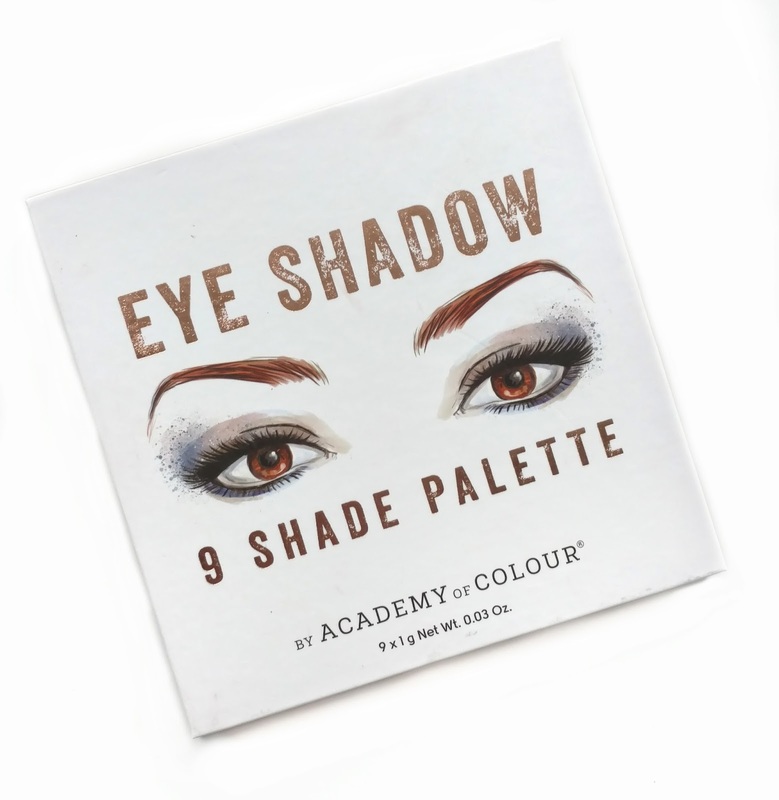 I was at Kohl's recently and the new Academy of Colour Eye Shadow Palette ($10.99) caught my eye while I was standing on the checkout line. It was in those little bins near the registers (not the actual beauty section of the store) and the thing that jumped out at me the most was that the cover art looked just like the Kylie Cosmetics Eyeshadow Palettes. 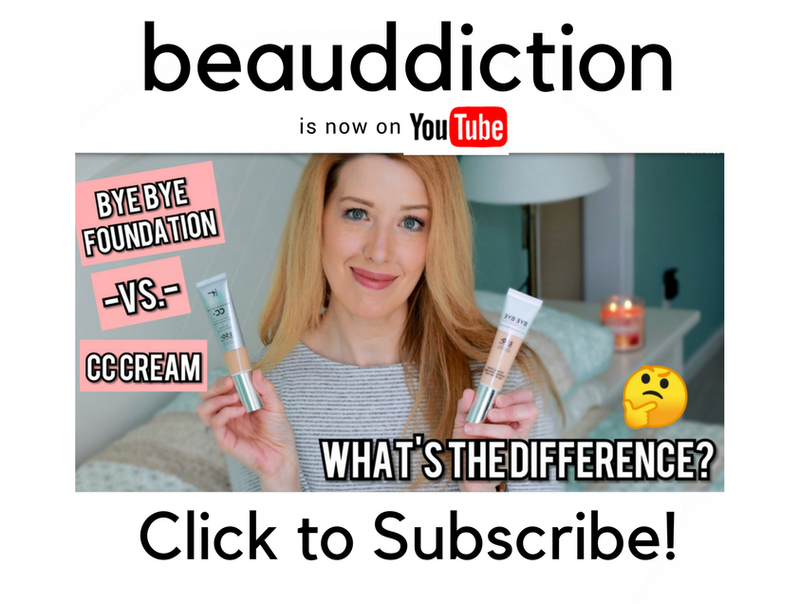 Thinking it could possibly be a dupe, I grabbed one to review here on the blog. 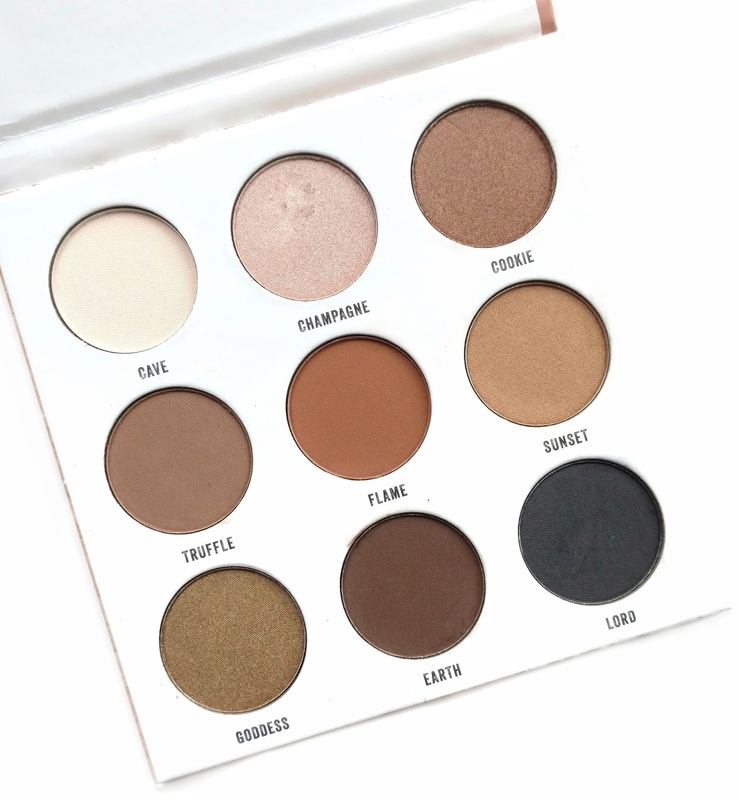 ...and here's what the Kylie Bronze Palette looks like. 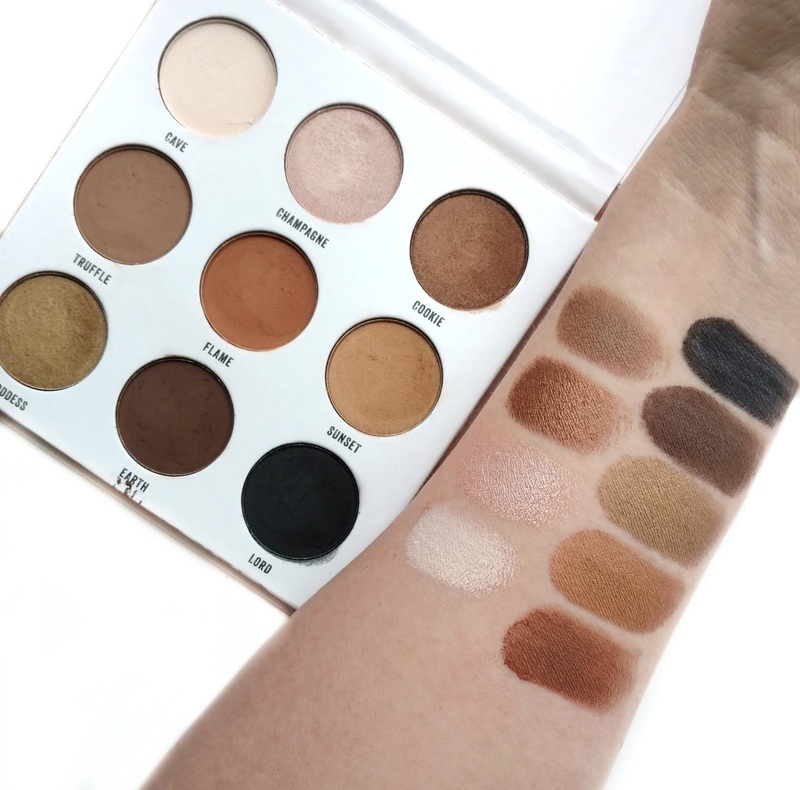 The shade range inside looks similar but the Academy of Colour palette doesn't look quite as warm-toned going by the photo on the Kylie Cosmetics website. So it doesn't appear to be an exact dupe, but rather was inspired by the Kylie Palettes. It comes in the same cardboard packaging (no brush or mirror) with round pans. There are five matte (Cave, Truffle, Flame, Earth, and Lord) shades and four shimmers (Champagne, Cookie, Sunset, and Goddess). I wasn't expecting much when I went to swatch them but holy cow, are they pigmented! They all have a buttery feel and not only do they swatch nicely, they also apply well to the eyes with a brush (at least the one time I've used this palette so far). I didn't have any trouble blending these out, although they do create a bit of fallout due to the soft texture of the powders. I just make sure to tap the excess off my brush and it's not a problem. Overall, this was a nice little find and it's definitely one of those hidden gems that you wouldn't expect to be as great as it is. It's definitely worth the $10.99 and then some! I'm not sure if Academy of Colour is sold at all Kohl's locations, but if you go to their website, you can click the Free Store Pickup option and see if it's available near you. You can also buy it right online and have them hold it for you at customer pickup so you don't have to go looking for it in the store (I do that all the time, especially for newer products that might not be out on the shelves yet). I picked one up today with a 30% off coupon. Looking forward to trying it out! This looks like a nice everyday palette that I can leave in my travel bag for frequent overnights out of town. Thank you for the review!